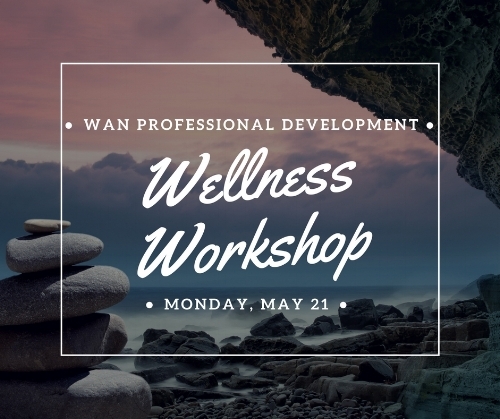 The Women's Aquatic Network will be hosting it's second professional development event of 2018, a Wellness Workshop with Collaborative Thinking, on Monday, May 21st at 6 p.m. Doors open at 6 p.m. and event starts at 6:30 p.m.
It’s no secret that your physical, mental and emotional health are of utmost importance, no matter where you are or what you’re doing. And now that many people are spending most of their day sitting at a desk or inside an office, it’s critical to consider how nutrition, exercise and stress-management routines play a role in an individual’s well-being, as well as the collective health status of entire organizations. Participants will be joined by instructions Liz Greenlaw and Nathan Mitchell for an interactive course that mixes health education with practical goal-setting techniques. The course will help bring awareness to your current habits and provide you with a framework and effective tools that will help you implement healthy lifestyle changes reflecting your desired health goals.